Sam Shepard’s passing means the loss of a fine character actor who lit up films (good, weak and forgettable) with his trademark intensity. It means the loss of a man who liked to get into the skin of ragged outlaws and hard-drinking derelicts, difficult folk with a frontier mentality: those more at ease in solitude, somewhere deep inside nowhere. It means the loss of an important voice in American theatre, whose preoccupation with America’s founding mythologies couldn’t be more poignant at a time of crisis in his country’s standing on the world stage. He was a playwright, first and foremost. One who believed in tracing the spectres of the Old West, in following those ley lines of violence that seem to run through the American psyche like a vein grown thick with blood. He believed in dreaming up bone-rattling surrealist monologues behind the wheel of a speeding truck – through Springsteen-y terrain of rattlesnake speedways and Utah deserts. (‘Like Dylan Thomas reciting Bob Dylan’, Jacques Levy opined in his notes to Red Cross, one of Shephard’s early plays). 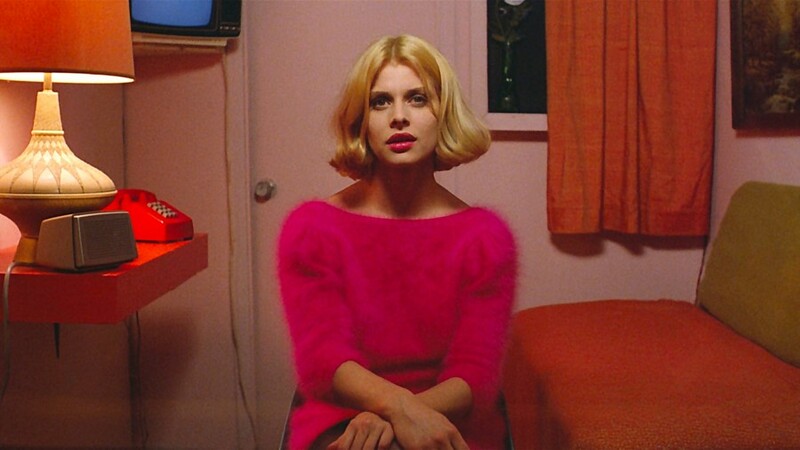 But when it comes to the cinema, his legacy as a screenwriter will largely rest on the reputation of one film: Paris, Texas (1984). More than thirty years on from its initial release, it still has a great deal to tell us about the U.S.A., what it expects from men and the extreme self-destruction that can come to pass in the name of an All-American machismo. We know this thanks to an interview he conducted with radio journalist Kurt St. Thomas in 1992. He didn't offer much detail as to the how and why of his answer – beyond expressing a fondness for Ry Cooder's atmospheric guitar-driven score – but it's not difficult to see why it might have appealed to the great poet of intergenerational angst. 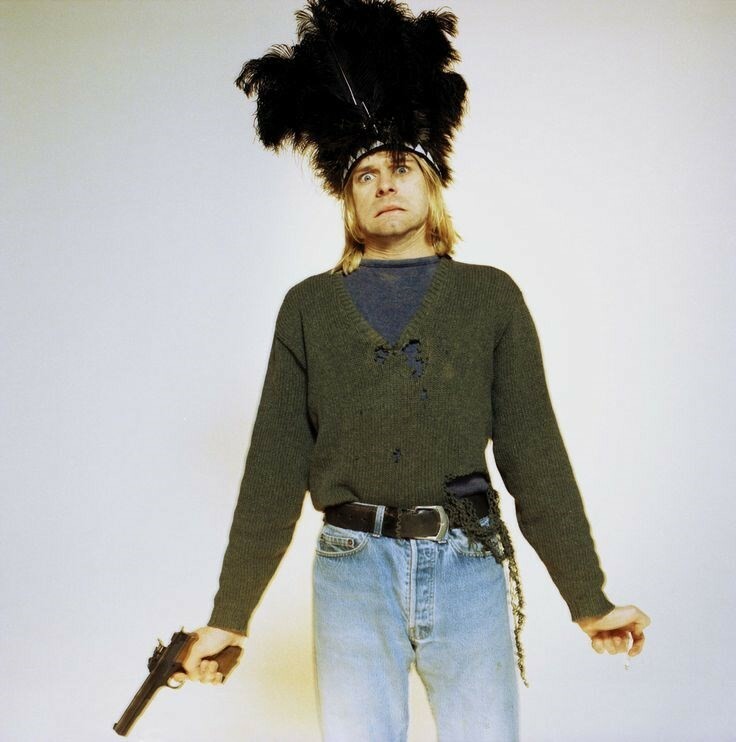 Few figures in the history of popular music embody the contradictions of punk rock quite as well as Kurt Cobain. At once disdainful of the corporate shenanigans which lead to platinum selling anthems and desirous of a large audience to honour his artistic greatness – reconciling his sudden fame and acceptance with his fundamental desire to rebel and contradict proved difficult for him. One of the central relationships in Paris, Texas is that of a father and son. Travis and his boy Hunter become reacquainted after many years apart and get to know one another during a short road trip across the South West. Yet, the question of who is the adult and who is the child in their relationship is often unclear. At times, Hunter has to comfort Travis more than Travis supports or comforts Hunter. It's easy to see why Cobain (who had a strained relationship with his own father) might have enjoyed the sentimentality of the film, and – in particular – the way in which it expands the category of adolescence, of an in-between-ness of adult and child, in both directions. 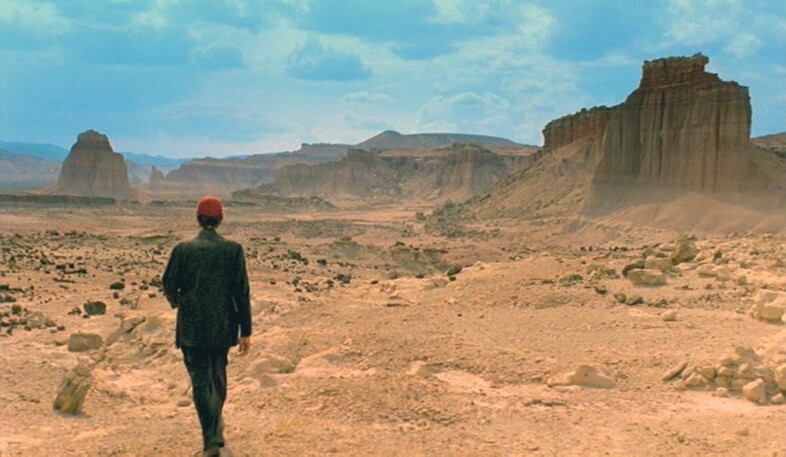 Paris, Texas begins with a man stumbling through the desert in South Texas, emerging from the Texan wilderness just like John Wayne in John Ford's The Searchers. Only our man, Travis, is not sat confidently in the saddle of a stock horse: he is staggering half-blind through the brush and collapses in what looks like an abandoned outpost. Travis is picked up by his brother Walt and driven to Walt’s home in California, the state where John Wayne spent most of his childhood (moving props around on the Universal lot after losing his scholarship to USC), and where the myth-making of the century's great Westerns were committed to celluloid. Travis doesn’t talk much. Initially, it’s thought he might be mute, but then it turns out he’s just been out on his own for a long time. He’s a man of few words. The strong silent type – like Wayne, like every cowboy, a man of action. It isn’t until the film’s devastating climax that Travis begins to talk and tell his story. When he does, we learn that his escape into the country – into the desert plains of the West, the New World artfully captured by ‘Old World’ European Wim Wenders – was a form of flight and an attempt to escape his past. No different to many refugees, perhaps, who look to America as a land where you might escape your history and start again. Travis’ silence is not a form of strength, we realise, it is a form of cowardice. Running counter to the myth of masculine bravery that is rooted in action, Travis’s only act of heroism in the film comes at the end – when he confronts his past and begins, finally, to talk. When Travis tracks down his former wife, Jane, we realise that she had hoped to disappear as well: into the urban sprawl of Houston, into America’s present and future – an oil-rich metropolis rather than its frontier past. Their conversation is conducted one-way, from Travis to Jane. He tells her their story, as if their past does not belong to him or her, and it is revealed that Travis was physically abusive to Jane whilst they were together. In one way, a certain childishness remains to Travis’ confrontation with the reality of his past actions. 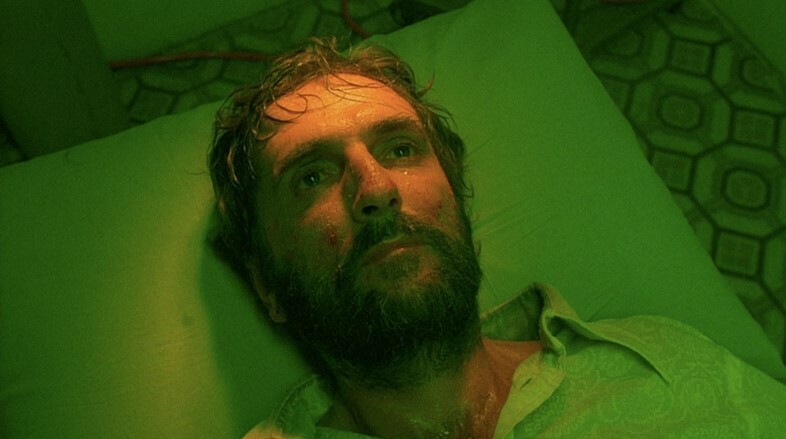 He can only speak of it in the third person, he cannot look directly at Jane – all his energy is directed at trying (in an incredible performance from Harry Dean Stanton) to unravel the thoughts from his head. Yet this confession of sorts is still his way of making amends, of trying to put back together a life which his alcoholism and violence broke apart. In some ways, perhaps, it’s not right that Travis is the one who gets to disclose this history. It might be that a man’s voice, recounting a tale of abuse that he perpetrated, is just another way in which men come to dominate proceedings. And yet there is little doubt as to how pitiful Travis has become. How self-destructive his behaviour has been, for himself and for his family. Their conversation, in some ways, mirrors a therapeutic relationship in which Jane assumes a role of power as the therapist, and confessor, since Travis’ redemption depends on her forgiveness. It’s a daring way to frame such a difficult conversation – showing as it does, both Travis’s cowardice and his bravery in the fierce spotlight of analysis. Its broken, lopsided dialogue still resonates today, and speaks of reconciliation rather than turning away. America is yet to have a female president. The most likely candidate to date who might have clinched that record was ultimately beaten by a man whose grasp of gender politics is, shall we say, non-existent. In its place, in the library of Donald Trump’s mind, there is a folder which reads Authority: How To. However divided America may be in its reactions to the Trump administration, there are some realities of the geo-political situation that can’t be shimmied past awkwardly or dementedly grabbed by the hand. Trump’s severity in the White House is self-destructive, in that his actions and statements look to the rest of the world as a form of willing alienation. His nativist and isolationist rhetoric does not jar necessarily with the conservative workings of the Republican party, but they do spell retreat in the eyes of an international community who want to work together and not apart. Given a choice or taking a Buzzfeed quiz entitled ‘Which Metaphorical Representation of the American Psyche Drawn From Classic Cinema Are You?’, it’s likely that Trump would arrive at John Wayne in The Searchers sooner than Travis in Paris, Texas. (For one thing, Trump’s feelings about Islam don’t half resemble a certain xenophobic hatred of the Other-in-your-own-land that Duke feels for the Comanche). And yet the Republican dream of strong men silhouetted by a rugged terrain, making it through with grit and determination, is only a partial telling of America. 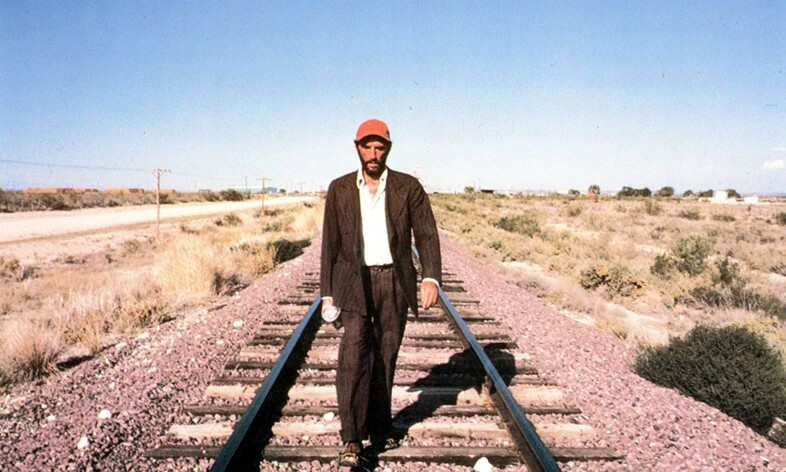 Sam Shephard had an affinity for cowboys, but in Paris, Texas he showed us that the darker realms of American myth hide a truth no braver and no more victorious than a man running away, whose flight is a defeat that he can’t put into words because he is unwilling to recognise its reality.